The stunning conclusion to the hugely popular Dragonkeeper trilogy. 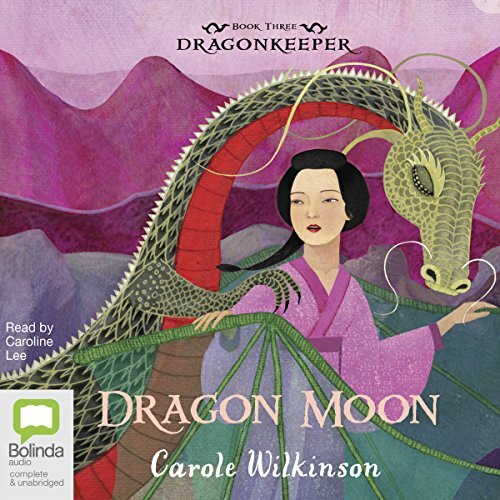 Ping is struggling to protect the young dragon Kai from the ruthless enemies that stalk him. Then an old friend sends her a secret map that shows the way to Dragon Haven - and the Dragonkeeper sets out on the most important journey of her life. My children and I enjoyed all three books in this series so much. It was the first series we fell in love with since Harry Potter. The author is a masterful story teller, with great character development, surprising but believable twists, and real emotion. We wish the series wasn’t over with Dragon Moon. We’d love to hear what happens with both the Dragonkeeper AND the Dragon in the future. There’s plenty of possibilities for a fourth book!! love this series. my kids also loved listen to it.